ConMoto congratulates Finja Bormann to an excellent tournament weekend in Dortmund’s Westfalenhalle. Riding “A crazy Son of Lavina” at the Preis von Nordrhein-Westfalen, an international S*** show jumping tournament, she scored third place. 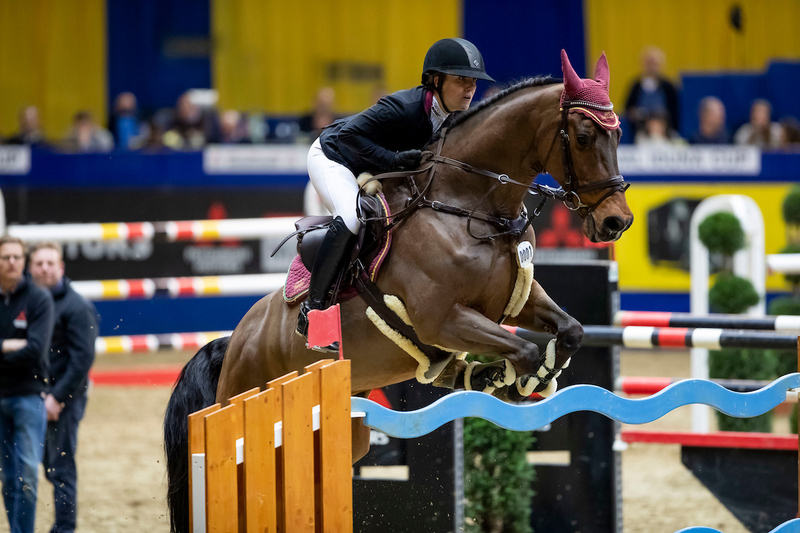 The pair flawlessly mastered both the regular show jumping course and the jump-off, only bested by the winner Michael Jung by mere 24 hundredths of a second and Dutchman Lars Kersten by two hundredths of a second. Highly appreciated as well is the eleventh place of Finja Bormann on „A crazy Son of Lavina“ at the S****-rated International Großer Preis der Bundesrepublik Deutschland, the highest endowed show jumping tournament of the event in Dortmund. At the regular show jumping course, they were among the fastest competitors. Unfortunately, faults for a knockdown prevented their participation in the jump-off, for which eight flawless pairs had been able to qualify altogether. Due to the fast course, Finja Bormann scored eleventh place. Rank nine and twelve on “Oktavian” in two smaller international S competitions completed Finja Bormann’s tournament weekend.